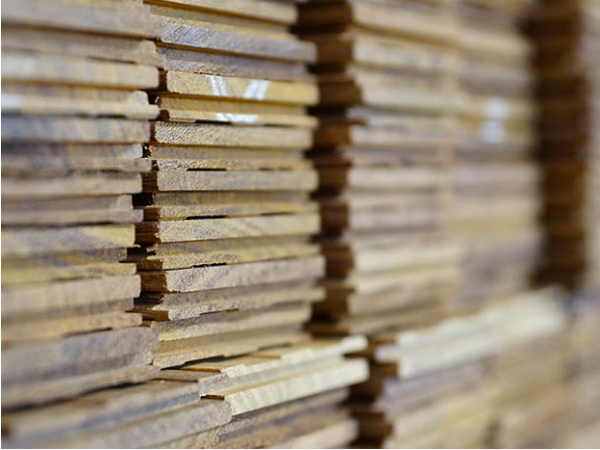 Ironwood is used to make all our shingled roofing. 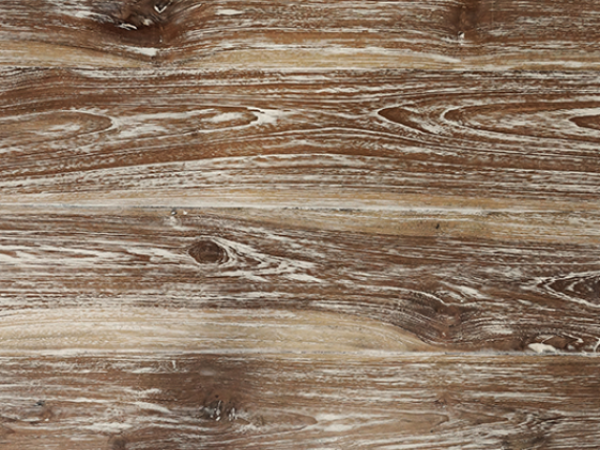 It has been used for hundreds of years throughout Indonesia and is one of the world’s most durable timbers. 5mm thick shingles are overlapped in four layers in the construction of all our shingled roofing ensuring a lifespan of up to 30 years. 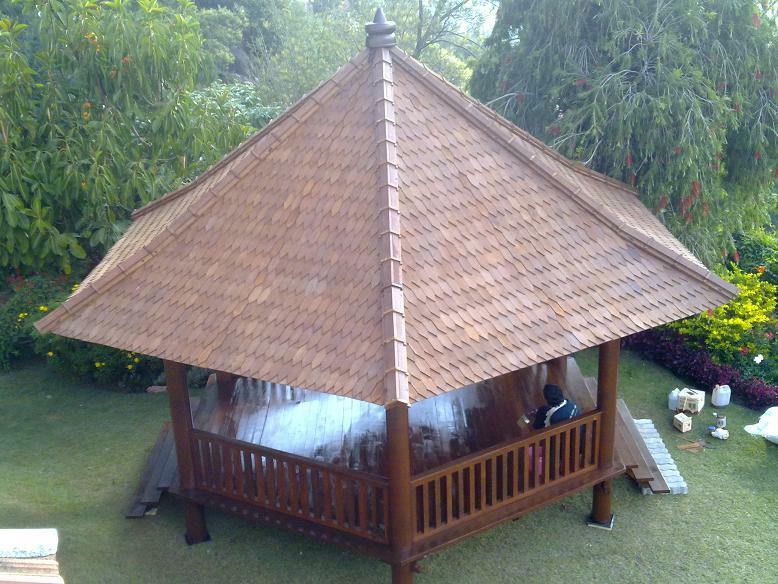 All our gazebos, pavilions and wooden houses’ shingled roofing is prefabricated. Each roof panel has already been constructed in our factory for easy assembly at destination. All our shingle roofing comprises of four layers-choice of rattan or bamboo weaved interior layer, plywood, protective aluminium foil then outer iron wood shingles. This shingle roofing system ensures maximum climate protection and is perfectly suited to designs using exposed ceilings. All our sunbrella roofing type pavilions use canopy fabric made from 100% solution-dyed acrylic fibers. The color, locked deep inside the fabric, is fade- and weather-resistant. The canopy is 100% opaque, waterproof and also protects against UV rays, wind and rain. Our sunbrella canvas roofing is light in weight, attractive, durable and long lasting. Sunbrella roofing adds a “modern feel” to our traditionally constructed gazebos and pavilions and is becoming a popular alternative roofing type to thatch and shingle. 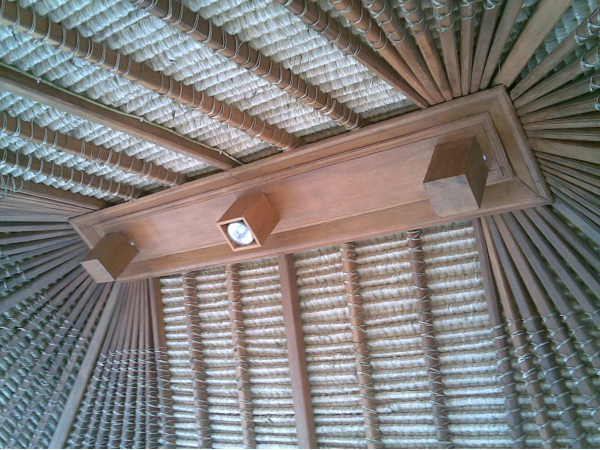 Thatch has been used throughout Indonesia and Bali for hundreds of years as a traditional system of roofing. The main benefit of using Balinese thatch is in its natural insulation qualities-high insulation value provides the coolest shade in summer and retains the heat in winter. Thatch’ s natural characteristics also provide 100% UV protection. 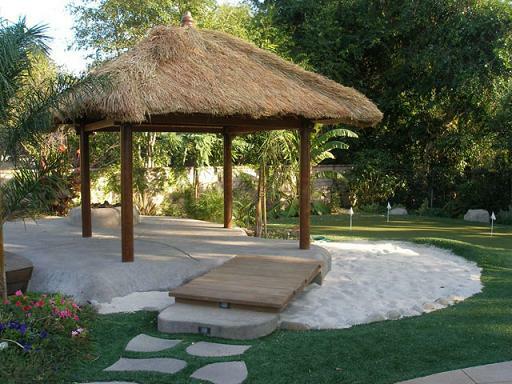 Thatch is very attractive to look at and gives a ‘tropical touch’ to its surroundings. The only setback in using thatch is its lifespan- average between seven and eight years. Thatch also tends to ”fluff-up” in very windy environments further reducing its lifespan. We provide extra thatching with all our wooden structures should the need arise for replacement. 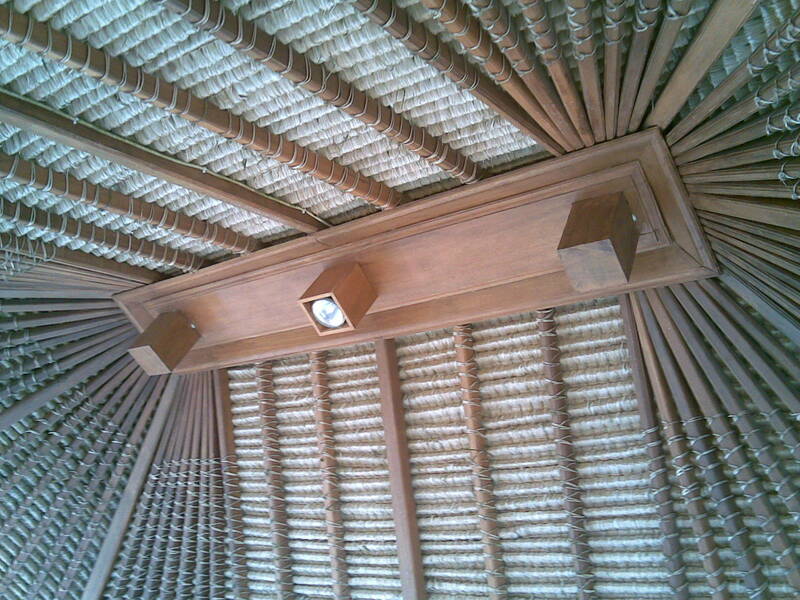 Like with our shingle roofing products, all our thatch roofing is prefabricated. 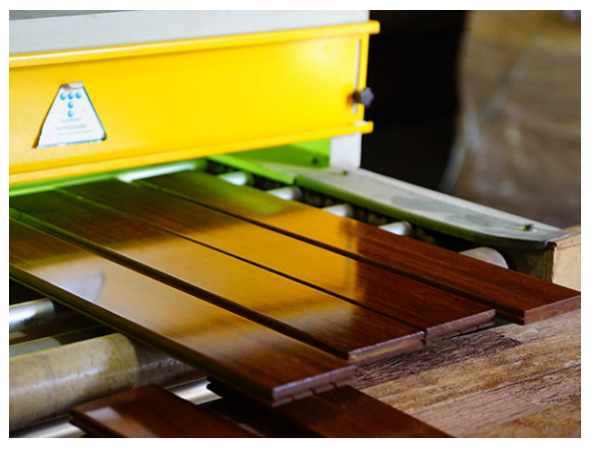 Each roof panel has already been constructed in our factory for easy assembly at destination.